It can either be crumbly, oily or rock hard like a crystal. It’s texture will depend on how it was manufactured. It’s a free base form of cocaine that can be smoked. It offers a short but intense high to smokers making it the most addictive substance on earth, even more so than cocaine. Crack cocaine is commonly used as a recreational drug. This newly created crack first saw widespread use decades ago. Rampant in impoverished inner city neighbourhoods. New York, Los Angeles, and Miami we the hardest hit in late 1984 and 1985. Its rapid increase in use and availability is sometimes termed as the crack epidemic. Crime rates greatly increased in this already troubled areas. Nothing like crack has ever been so damaging to society in such a short period of time. 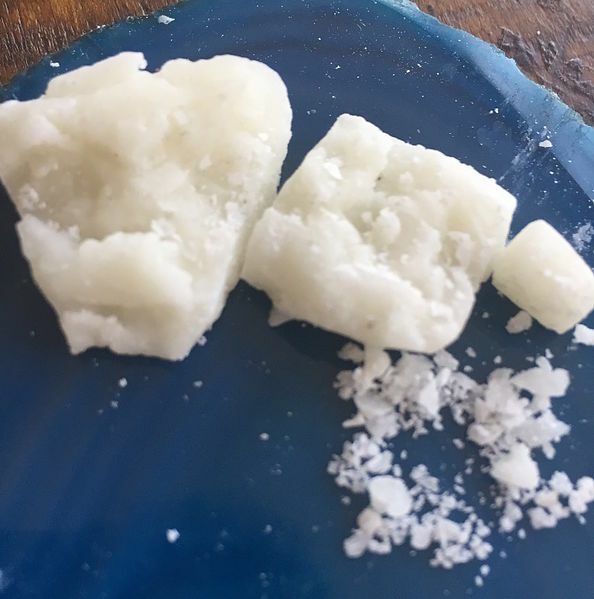 Crack is the most potent coca extraction. Cocaine was already a highly concentrated form the coca leaf. But humans like to take everything to the ultimate extreme. When you concentrate cocaine further, you get crack cocaine. Crack cocaine is commonly used as a recreational drug. Effects of crack cocaine include euphoria, supreme confidence, loss of appetite, insomnia, alertness, increased energy, a craving for more cocaine, and potential paranoia when you’re coming down.